Is This Your Cat? 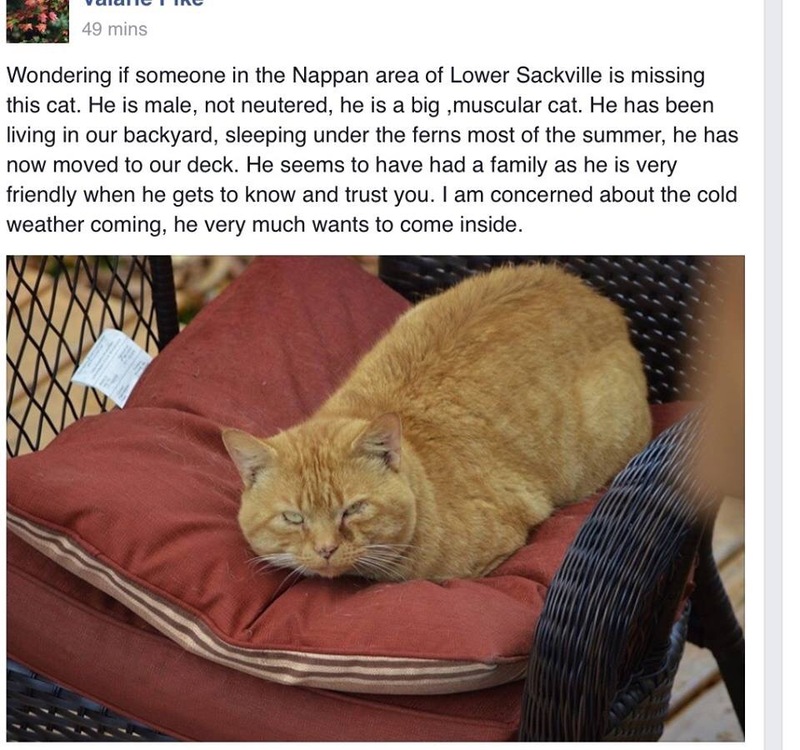 It’s Hanging Around The Nappan Area Of #Sackville | Sack-Vegas!!!! Update: it’s been a while, but thanks to all of you sharing he is now HOME! Thanks all! Posted by Sacky on November 1, 2014 in Uncategorized. Are you missing a cat? Is he neutered?